Forget about messy, lengthy bathroom remodels. We'll complete yours for less�and in as little as a day! When ordinary bathrooms just aren’t good enough for your Oswego home, turn to the custom bath remodeling experts at Tiger Bath Solutions! From convenient shower-to-tub conversions to fully personalized brand-new baths, we specialize in bath remodels that are just as quick and affordable as they are long-lasting. With durable, low-maintenance materials and certified installations, our Oswego bathroom remodeling brings style, value, and comfort to any home—in as little as one day! Bath Conversions: Is an inconvenient or uncomfortable bathing feature slowing down your daily routine? With a custom-fitted shower-to-tub or tub-to-shower conversion, we can provide the convenience and comfort you need along with the high-end style you want. Showers: If you’re spending hours every week in a stained, cracked, or downright ugly shower, it’s time to make a change for the better. 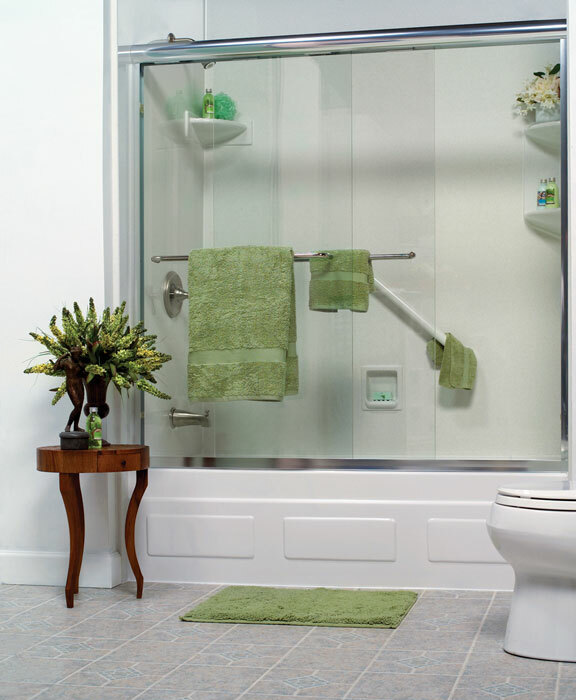 From enclosures and doors to surrounds and replacements, we can install a shower system that you’ll love using. 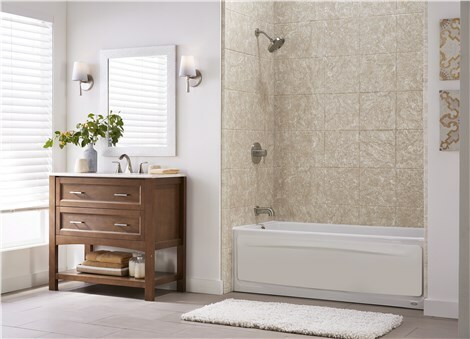 Baths: At Tiger Bath Solutions, we offer everything you could need for an elegant Oswego bath replacement. 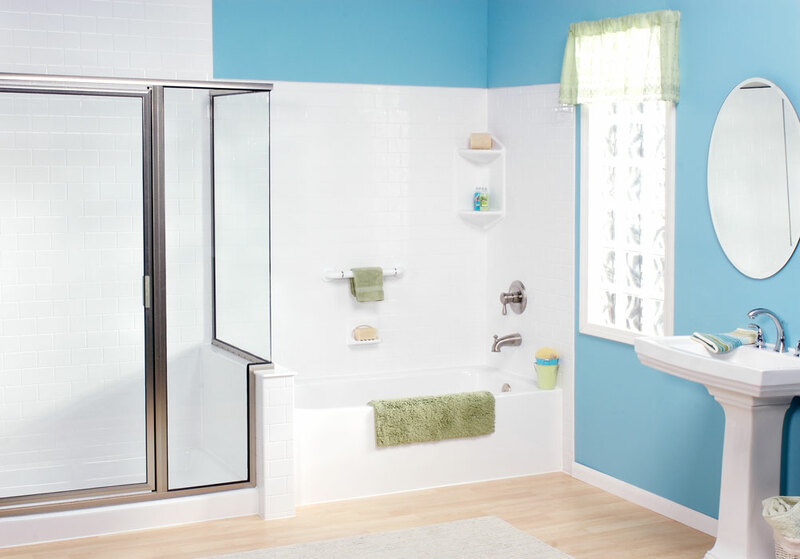 First choose from our liners, surrounds, new baths, and tub-shower combos, and then customize your feature with a number of add-ons and accessories. Walk-in Tubs: Without an accessible bathing feature, many people are forced to leave their homes or hire in-home care givers. To age in place safely or maintain the lifestyle independence of your loved ones, consider a quality walk-in tub installation! 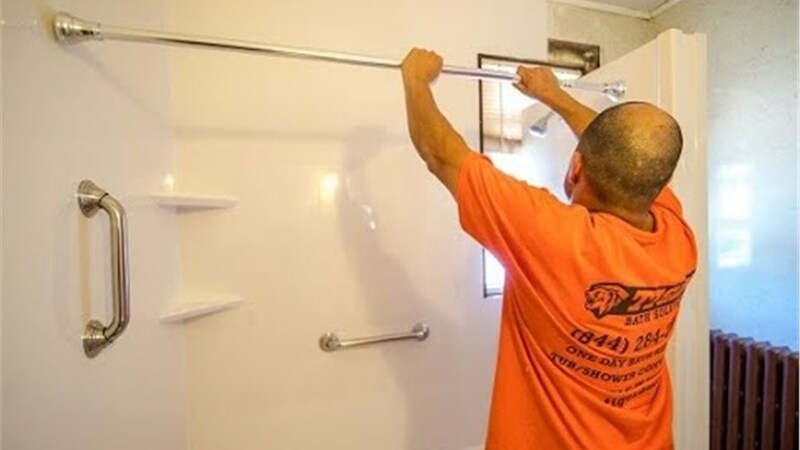 Whatever kind of Oswego bathroom remodeling you have in mind, Tiger Bath Solutions has the knowledgeable staff and high-quality products to deliver. 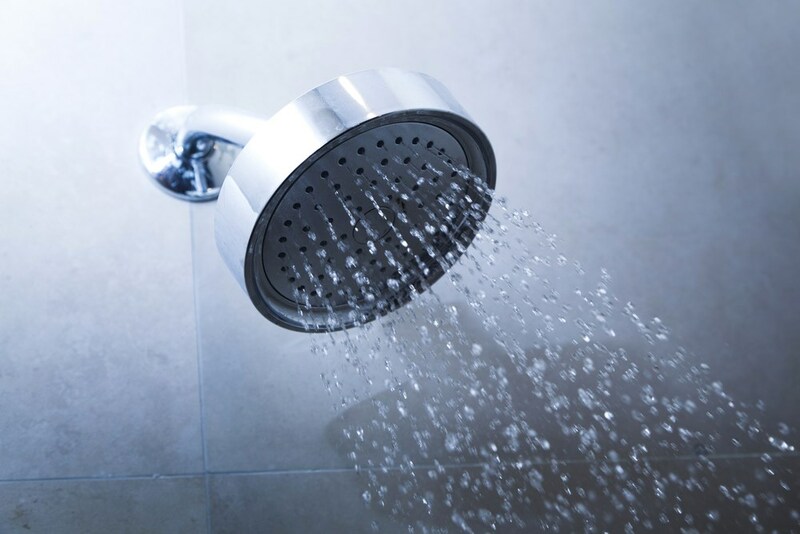 To learn more about our bath repair and replacement services, call us today! You can also start with a free cost estimate by completing our online form now.